The drum mills are used for fine and ultra-fine grinding of brittle materials. 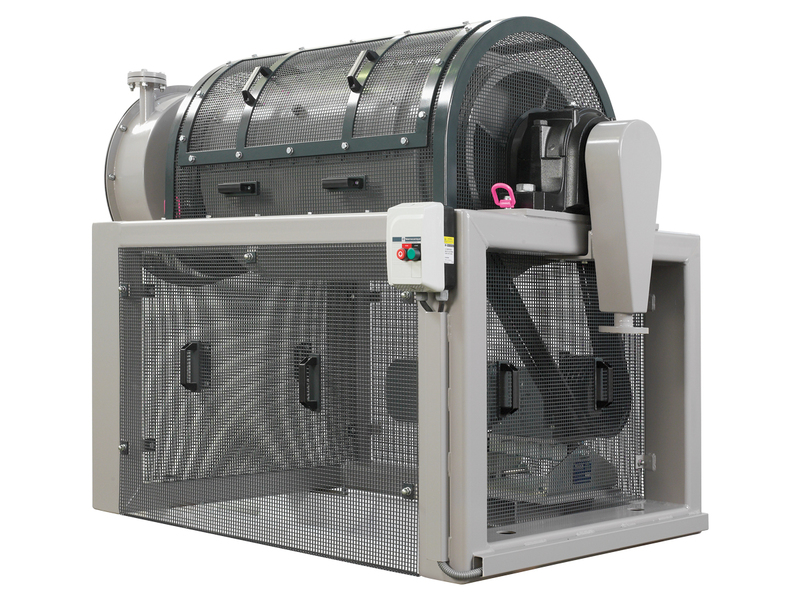 Discontinuous operated drum mills make, in addition to size reduction, homogenization of the material to be ground possible. Drum mills have a horizontal grinding drum rotating around a fixed center of rotation. Located in this cylindrical working space is a grinding-media filling, which is tumbled by the rotating grinding drum. The material fed is pulverized by the freely moving grinding-media primarily through pressure, impact and shearing action. Balls or Zylpebs are usually used. For special applications, steel rods can also be implemented in appropriately modified drum mills. The main operating conditions decisive for pulverization are the drum speed and filling conditions. The usual speeds are in the range between 70% to 80% of the critical speed. In exceptional cases, both lesser speeds (friction effect) as well as greater speeds (impact effect) are selected in the range of 60% to 90% of the critical speed. For energy-efficient comminution, the grinding-media and the extent of griding-media filling are decisive, in addition to the speed. Here, the following predefinitions are time-tested as standard figures: Grinding-media filling of approx. 35 % and filling with material to be ground of approx. 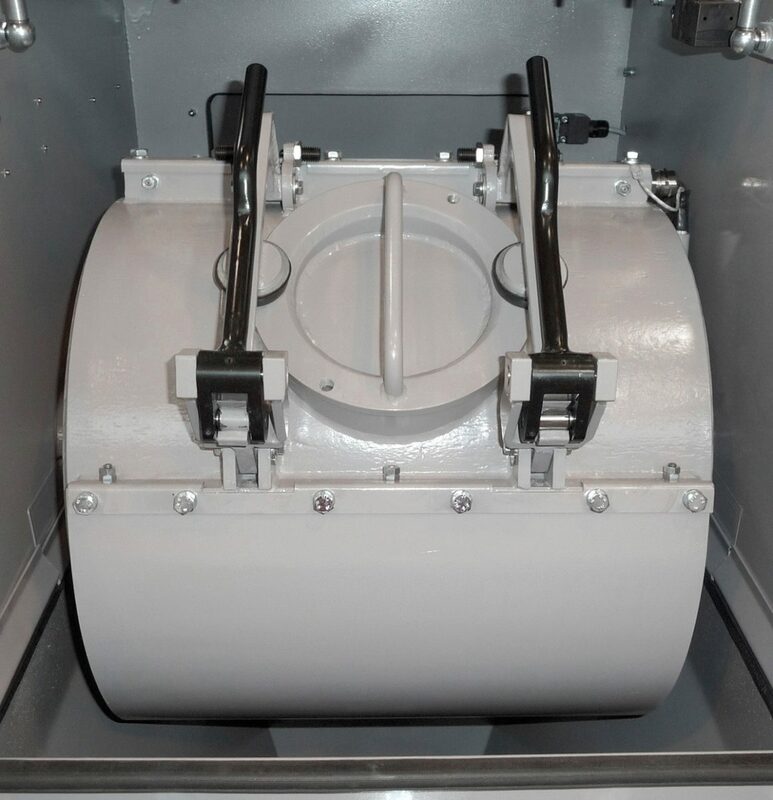 25 % of the empty grinding-drum volume. The discontinuous drum mills are charged through an opening on the drum mill jacket. This is designed with quick locking device that can be conveniently opened and closed without tools. 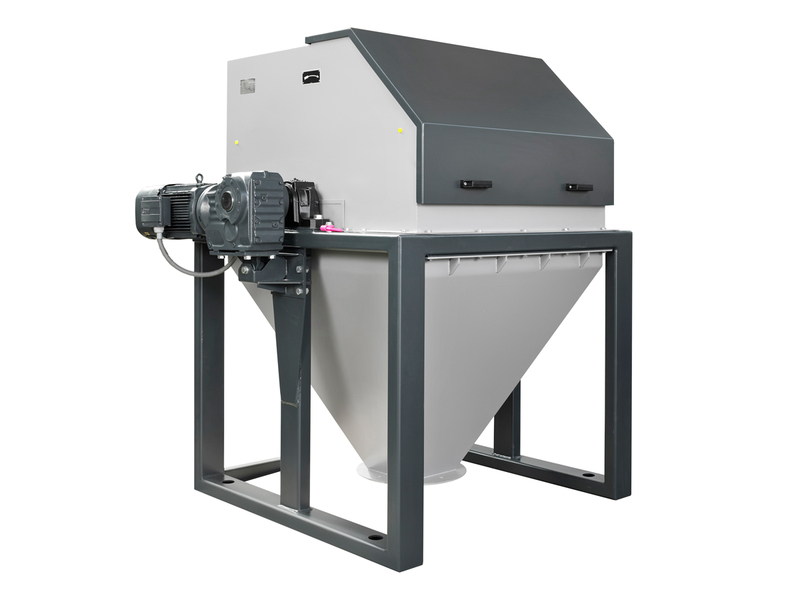 To discharge the discontinuous wet mills, the filling hole, closed with a lid, is exchanged by a discharge grid with shut-off valve; the drum mill is subsequently positioned in such a manner that the sieve is at the lowest. 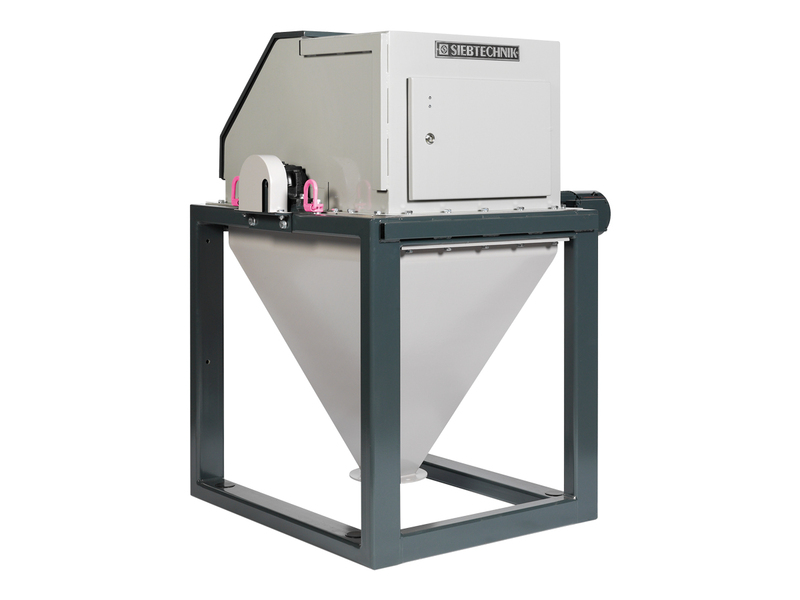 Once the valve is opened, the unmoving drum mill can be emptied. 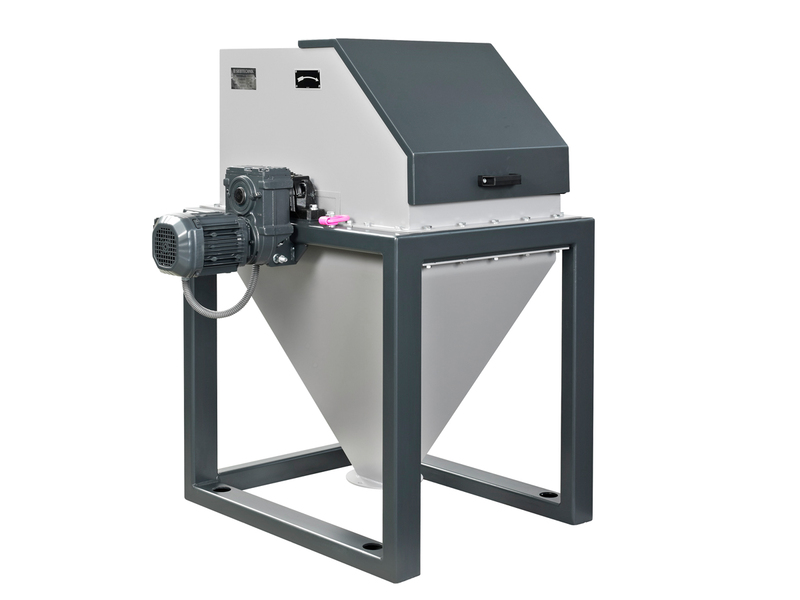 With the dry mills, the pulverized finished material is discharged, while the drum mill rotating, through the opening with an discharge grid that is fitted on instead of the lid. 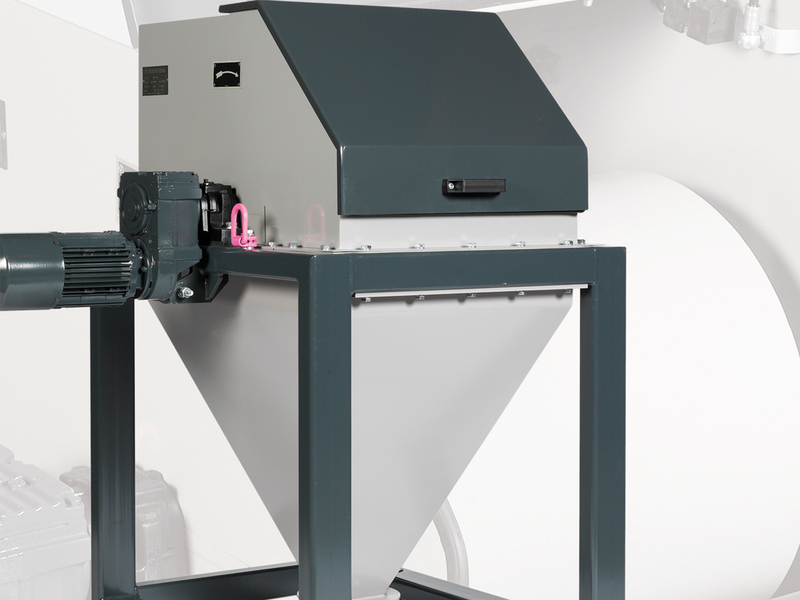 To collect the discharged material, the dry mills are provided with a dust hood. It encloses the drum mill and tapers to a funnel-shaped outlet. The drum mill with shaft stubs welded on either side is fixed on the mill stand via ball bearings. The drive of the drum mill is provided by an attachable gear motor directly on the shaft. The dry mills are fitted with a dust hood firmly bolted to the mill stand. To ensure good accessibility to the mill drums, the dust hoods are provided with two flaps. 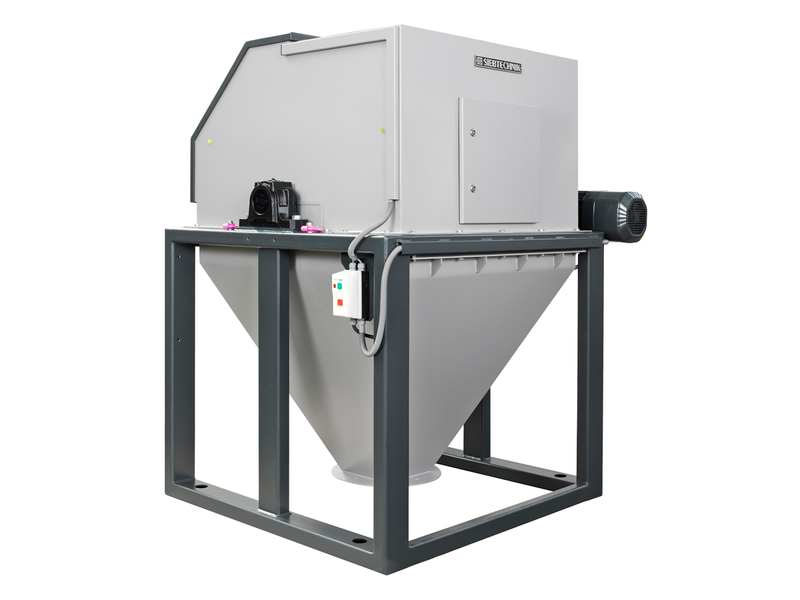 Pulverized material can be taken up at the outlet of the dust hood running together in a funnel shape. 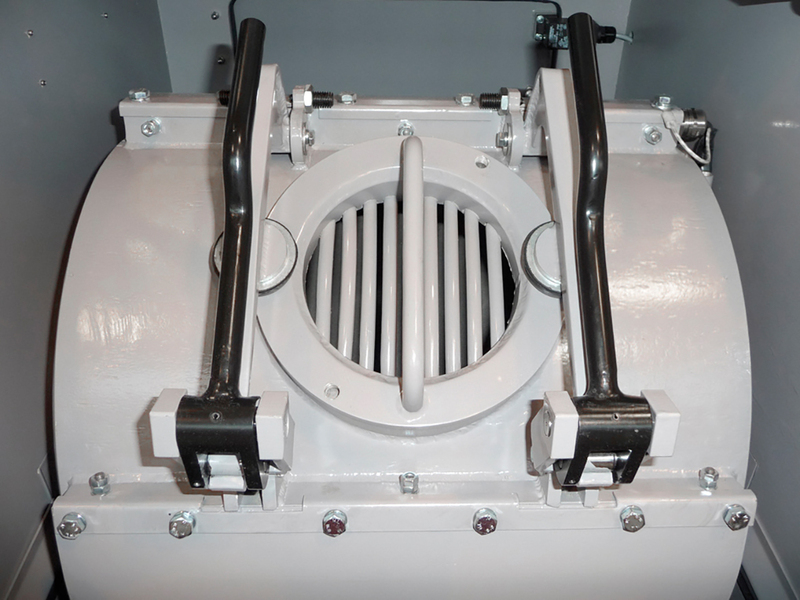 The wet mills likewise have a drum mill housing at their disposal provided with two flaps. As with the dry mills, all the work required for filling and emptying the drum mill is carried out without any difficulties. The drum mills are positioned for filling or emptying in inching operation or via an optional control with automatic positioning. Grinding drum with ceramic or rubber lining for metal-free crushing of products. heating system. Provided to this end is a shaft stub with a rotary feedthrough for the heat transfer medium. For pure heating of the drum mill, it can be equipped with electric heating instead of the double jacket. 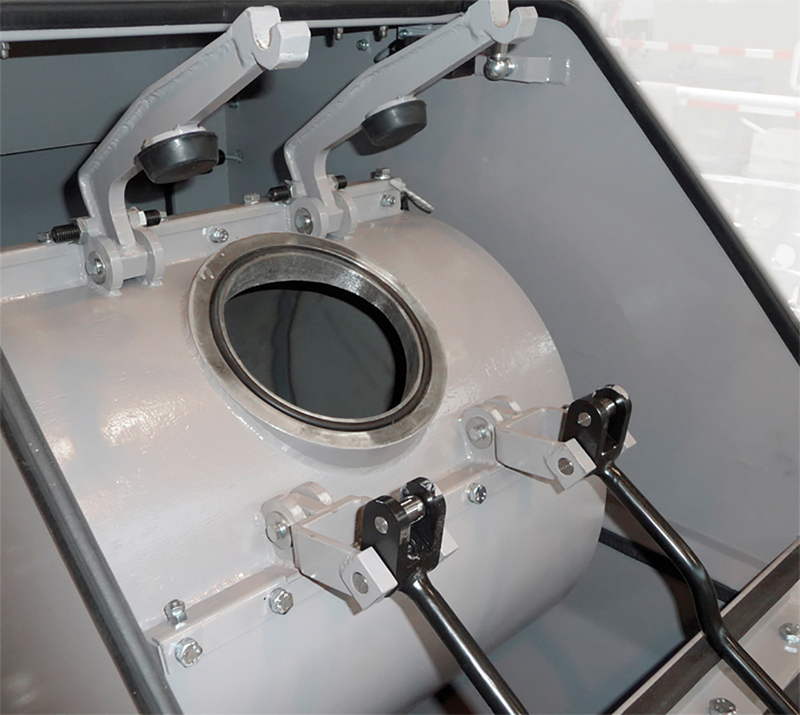 Hollow shaft with filter, for simulating the volatility of grinding aids in laboratory drum mills. Continuous version of the drum mill with two hollowshafts with helical vanes for continuous material feed and removal. The mill weight and main dimensions may vary depending on the version concerned. The lining of the drum mill reduces the volume of the drum and thus the filling with material to be ground corresponding to the lining thickness. Subject to technical alterations.